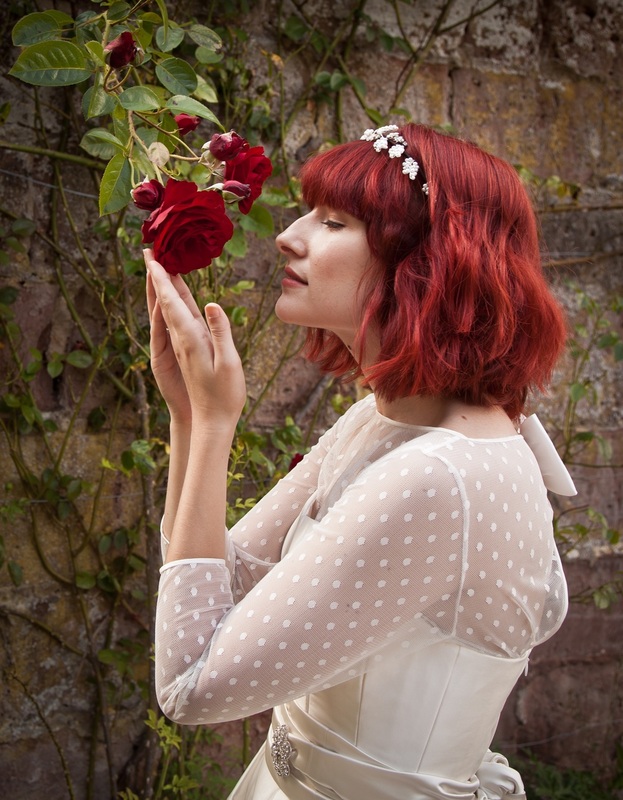 Buried deep in the Staffordshire countryside is a country house, filed with heirlooms of past generations and a secret garden, with an ancient stone wall and blood red fairytale roses. And there's polished wood interiors, sandstone, high garden walls with climbing roses, and a table underneath the trees piled high with vases and Staffordshire china. And so we were inspired to use this as the inspiration for a photoshoot, with our "Staffordshire Bride", whose wardrobe includes Wellington boots, a riding jacket with a very modern take on tweed and a couture dress or several. Here is someone who is at Glastonbury one week, a private view in London the next, and who comes home to celebrate her wedding. Sublime photographs by Caroline Burley captured our couture dresses in these elegant surroundings, with beautiful blooms and styling by the extremely talented Sean Hirst . Hair by Francescos in the village of Eccleshall and hair and make-up by Fiona Brunt . A huge thank you to everyone who took part. 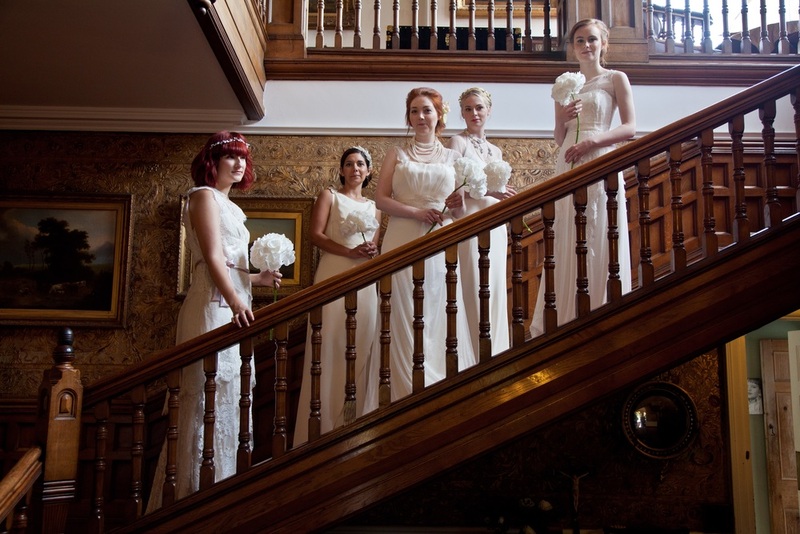 Are You A Bespoke Bride?